If you are in need of professional Macomb County Upholstery Cleaning, please contact Duo-Care Cleaning and Restoration at (586) 263-9930 today. 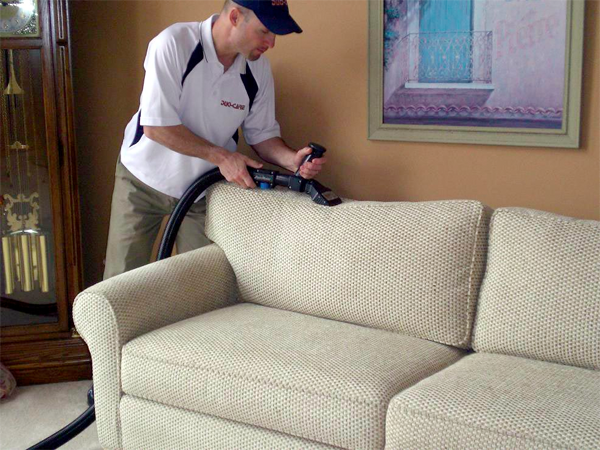 Click here to learn more about our upholstery cleaning services or Follow Us on Facebook! If you have upholstered furniture, it should be cleaned regularly. Between kids, pets, and stains, your furniture takes a beating and would benefit from a deep clean. While you may be tempted to try to clean it yourself, upholstery cleaning can be difficult and you may end up making it worse. Upholstery Is Difficult To Clean: Each fabric requires a different technique of cleaning. It’s better to hire a skilled upholstery cleaning professional than risking damaging your furniture with improper technique or cleaning materials. Stains Are Challenging: It can be tough to remove stains from upholstery, and doing it yourself could cause the stains to settle deeper into the fabric. Professionals have the experience and tools to remove even the most stubborn of stains. Save Time: Upholstery cleaning requires the right equipment, products, and technique to be effective. Instead of wasting your time and energy attempting to clean your furniture, leave it to the professionals. Manufacturers Recommend A Professional: Many warranties are voided if you perform upholstery cleaning yourself and end up further damaging the furniture in the process. To keep your warranty intact, hire an experienced cleaner. Upholstered Furniture Is Expensive: Upholstered furniture, such as couches and chairs, are often costly. Professional upholstery cleaning will help you maintain your investment for years to come. For top rated Macomb County Upholstery Cleaning, please call Duo-Care Cleaning and Restoration at (586) 263-9930. This entry was posted in Macomb County Upholstery Cleaning and tagged Couch Stain Cleaning, Furniture Cleaning Macomb County, Macomb County Upholstery Cleaners, Macomb County Upholstery Cleaning on May 9, 2018 by Duo-Care.